Established in 1976, this award is given to an outstanding physician who has brought credit and distinction to plastic surgery through clinical practice and application, community and civic accomplishments, organization and executive performance, or teaching and research. “Pioneers get the arrows and settlers get the land” is anold adage of which Sydney Coleman, assistant clinical professor of plastic surgery at NYU Medical Center and the University of Pittsburgh Medical Center is intimately familiar. A native Texan pioneer, Dr. Coleman is best known as the originator of a successful fat grafting method known as LipoStructure ®, structural fat grafting, or Coleman fat grafting. In the face of skepticism by his colleagues, he has since 1988 championed fat grafting to permanently replace or create volume for reconstructive and aesthetic surgeries. In 1995, defying prevailing dogmas, he grafted fat into breasts with astounding results which he published in 2007—and today, fat grfting to the breast is now widely practiced. Foreign plastic surgeons embraced the “Coleman Technique” early and have advanced the science of fat grafting enormously over the last two decades. 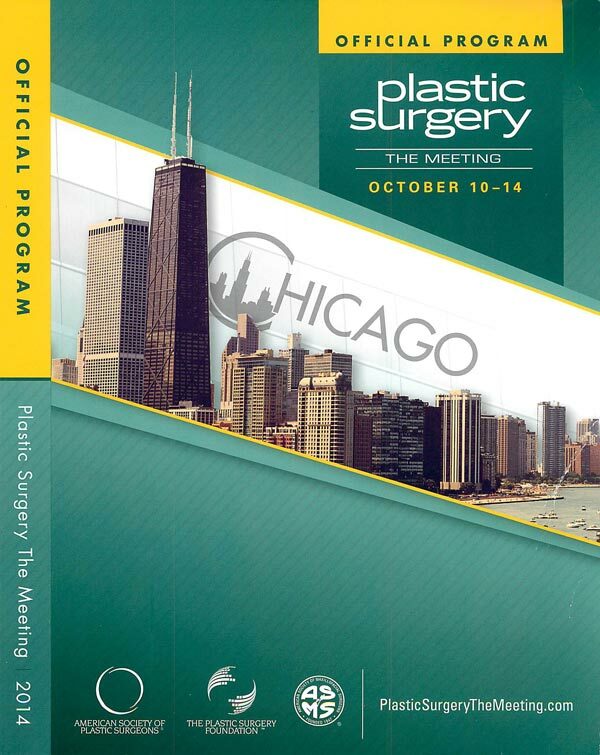 Today, almost every plastic surgeon worldwide uses fat grafting to the great benefit of patients. It was 25 years ago that Dr. Coleman first announced that fat grafts can transform tissues into which they are grafted. In 2014, surgeons graft fat to rejuvenate and thicken skin and to treat such conditions as burns, scars, chronic wounds, irradiated tissues, pain, and even scleroderma and Dupuytren’s. 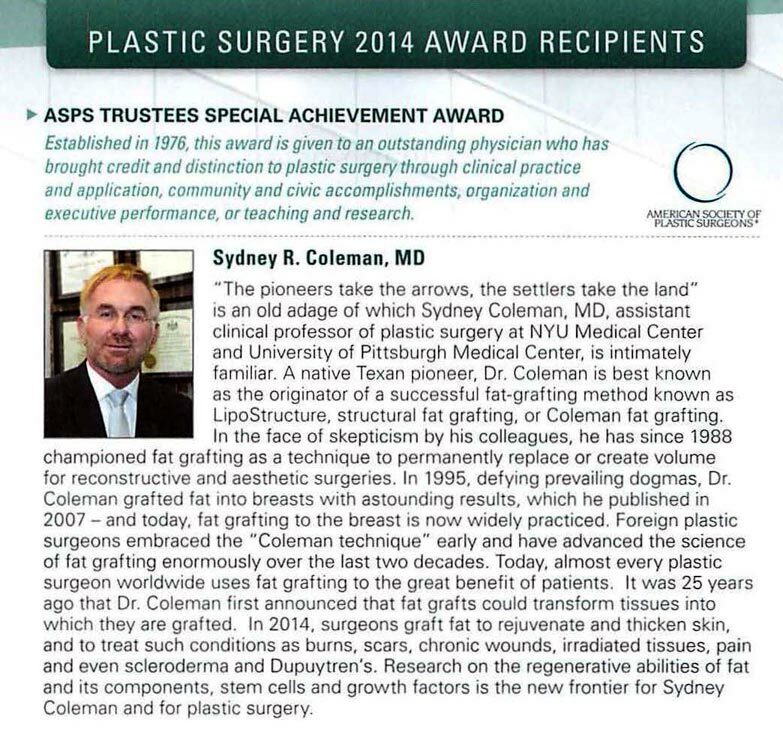 Research on the regenerative abilities of fat and its components, stem cells and growth factors is the new frontier for Sydney Coleman and for Plastic Surgery.